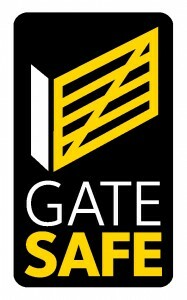 Here at Gateway Automation we are proud to be certified as Gate Safe Aware. This is a specific accreditation handed out only to those who have undergone training and assessments to show that they have a fully comprehensive understanding of the guidelines surrounding responsible installation. The importance of having your gates installed by an accredited professional should not be underestimated. The dangers of failing to do so is highlighted by the cases of Semelia Campbell and Karolina Golabek who were both tragically killed in accidents involving automated gates in the space of just a few weeks in 2010. Semelia was trapped while playing hide and seek and Karolina was trapped while playing with a cat. The company deemed responsible for Semelia’s death was handed a £50,000 fine and a publicity order for leaving their automated gate in a ‘lethal state’. Gateway Automation provide a range of gates to help businesses and individuals to secure their sites and also provide nationwide servicing and repairs to gates, barriers and other perimeter security equipment. We are proud to be certified as Gate Safe Aware Installers. To find out more, please contact us on 01522 682255 or take a look at our brochure which can be viewed here: http://www.gatewayautomation.co.uk/brochure/.